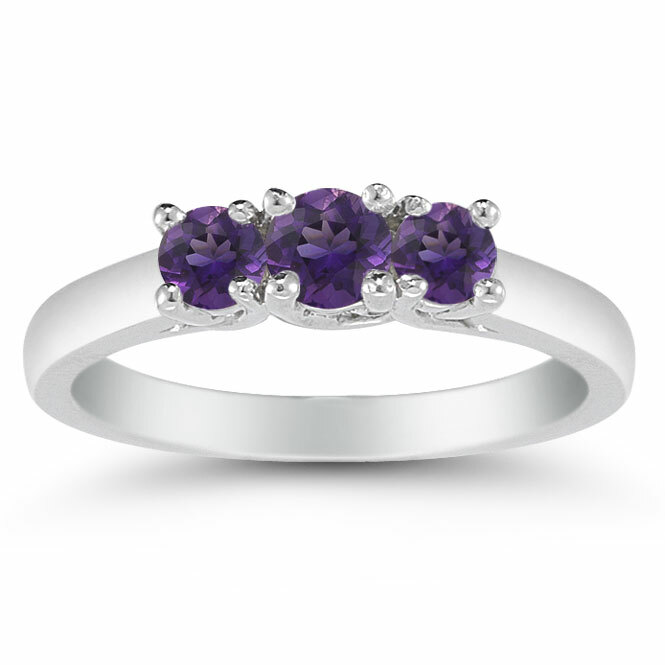 A luscious, deep purple color defines this lovely three stone ring from Apples of Gold. 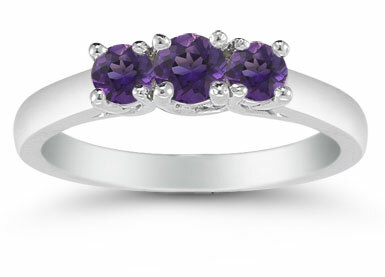 Not one, but three amethyst gemstones makes this ring a truly stunning piece and brings forth a bold color. The center amethyst measures 4mm and the side gemstones measure 3.5mm to give a beautiful balance to the ring. Set in striking white gold, the stones stand out with pride. The white gold setting ensures the gemstones stay in place with the high style only found at Apples of Gold. Also available in 14K Yellow Gold (shown below),or Platinum by request. We guarantee our Three Stone Amethyst Ring, 14K White Gold to be high quality, authentic jewelry, as described above.